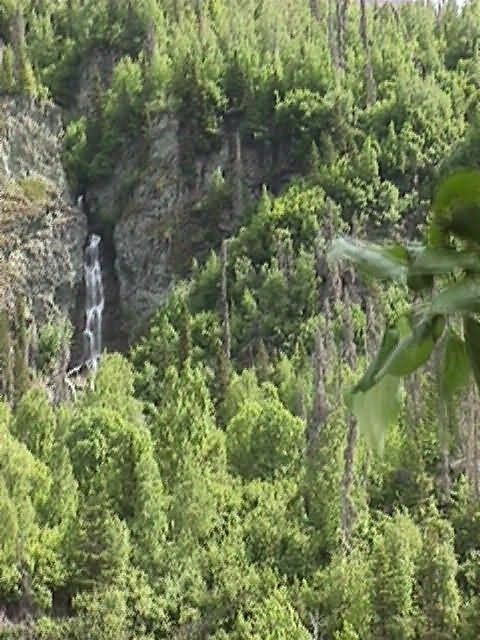 Waterfalls on canyon wall along the Copper river below Chitna, Alaska. This rugged area is accessible only by boat or ATV. Dipnetters crawl down some of these cliff and tie themselves to a tree with a stout rope to keep from falling into the river.